Hey friends! There's been a lot going on here lately, leaving me not much time to post! But, I thought I'd pop in for a quick update and to say hello! We had some more lights installed around the house today. 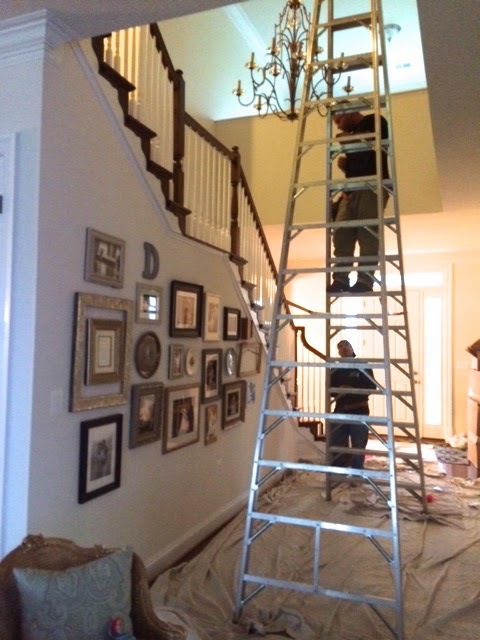 These were the last main lights that we were wanting to change out from the builder grade ones. It really makes such a difference, and makes the house feel so much more "us". There are a couple more we will add down the road, but those are not essential at the moment. I am really glad I didn't have to climb up there! Seeing them up almost 20 feet made me so nervous! I will have to share some better pictures soon of the changes we've made. 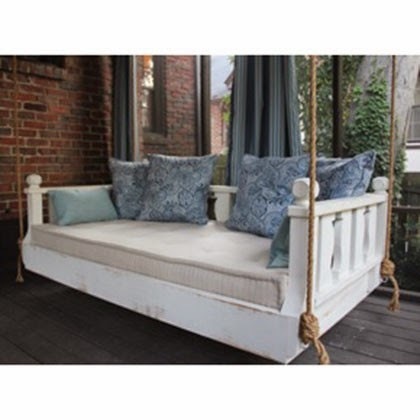 Another recent purchase, which has not arrived yet, is this porch swing. Sorry for the poor quality pictures today. This one was right from their website, so not sure why it's so fuzzy. Anyway, this is pretty much my dream come true. It's a twin bed swing! I picture me and Audrey sitting on it during the day watching the dogs play in the park across the street. Maybe we'll even take some naps out there! Cannot wait to get this and have it installed! That porch swing is amazing! That swing is amazing Rach, and perfect for your beautiful porch!